Dr. James Randle began his career in education as a junior high school resource teacher in Houston, Texas where he developed and implemented curriculum for students with learning disabilities. He relocated to Seattle, Washington to teach in the Lake Washington School District. Dr. Randle then joined the Los Angeles Unified School District (LAUSD) as a resource specialist teacher and was at the fore of the District's co-teaching and collaborative instruction efforts. He has served as an elementary assistant principal, a summer school principal and a central office administrator with the LAUSD. 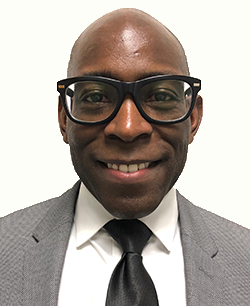 As an administrator, Dr. Randle worked to close the achievement gap by collaborating with the Board's Educational Equity Committee and with the Chief Instructional Officer's Mathematics Departmentalization Committee. In addition to his work as a public school educator, he has also taught at the college level. Dr. Randle earned a Bachelor's degree in sociology from Baylor University, a Master of Arts degree in sociology from the University of Houston, a Master of Business Administration (MBA) degree from Seattle University, a Master’s degree in Education Policy & Management from Harvard University and a Doctorate in Urban Superintendency from Harvard University. He wrote his doctoral dissertation on high achieving, African American males in the Los Angeles Unified School District. Dr. Randle has supported the improvement efforts of numerous school districts across the United States including Seattle, Baltimore, Hawaii, Austin, Chicago, Little Rock, Compton, Orange County (FL), Ferguson-Florissant (MO),Charlotte-Mecklenburg, Syracuse, Bellevue (WA), Fontana (CA), Santa Fe and internationally in Johannesburg, South Africa.